Have you ever wondered what went into that Bud you’re holding on game day or sipping at the bar? Where did this beer come from? Who gave birth to this brew? What kind of journey did it take to end up chilling in your hand? Well now you can find out your beer’s entire backstory. The Track Your Bud program from Anheuser-Busch lets you trace the origins of your Budweiser bottle from farm to brewery to coozie. You can even learn about the brewmaster responsible for crafting your beer. To get the full story of your Bud, just use your smartphone to scan the QR code located on your Budweiser packaging. 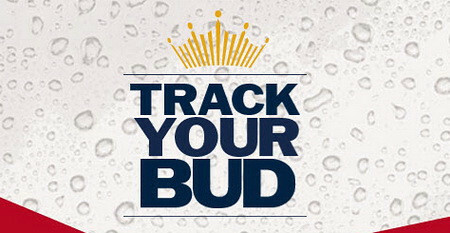 You can download the Track Your Bud app or visit www.trackyourbud.com to learn about how your beer came to life. You can find out all about the beer-making process and discover where the hops and barley that went into your beer came from. So next time you sip a Bud, spent a couple minutes and get a download of your brew’s personal history. Print article This entry was posted by Chris Stout on March 22, 2012 at 7:34 pm, and is filed under Lifestyle. Follow any responses to this post through RSS 2.0. Both comments and pings are currently closed.